How Many Calories When Breastfeeding: Should You Keep Count? Does the word “calories” take you on a guilt trip as you think about all the food you’ve been stuffing yourself with lately? Are you nursing and have no idea whether you’re eating too many or even not enough? Counting calories isn’t always as bad as it seems. For the breastfeeding mom, consuming sufficient calories for you and your baby will be essential at some point. The human body needs calories to survive and thrive. That’s why we’ve dedicated this article to give you the lowdown on calories, how many you need, and where to get them. Let’s dive in. Why Do We Need Calories? How Many Calories Do Breastfeeding Mamas Need? Will Breastfeeding Help Me Lose Weight? Simply stated, calories are units of energy. The cells in your body need this energy to carry out their daily functions. Without calories, the cells would die and alongside them, vital body organs, such as your heart and lungs. Scientifically, calories might be called calories, Calories, kilocalories or kilojoules. 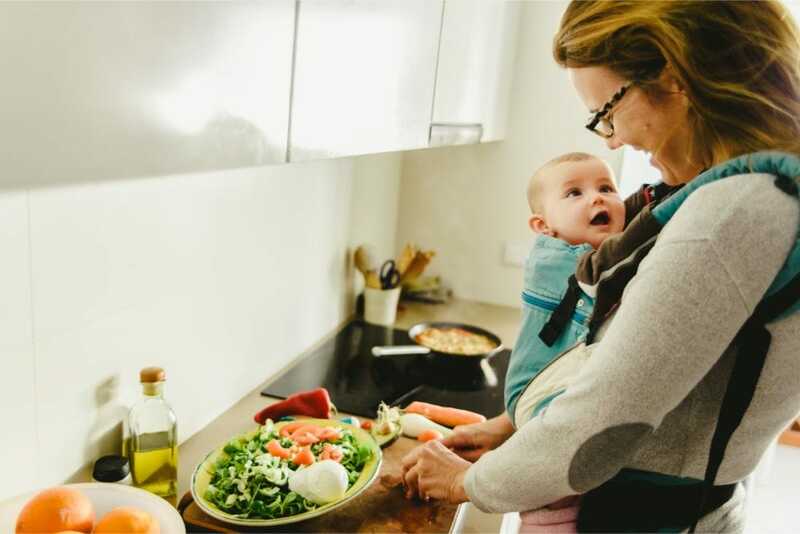 While breastfeeding moms don’t necessarily need to know the scientific differences between them, what they do need to know is how many are needed each day to produce breastmilk and still maintain a healthy weight. Consuming too many or too few calories may create serious health issues for you, making it essential to find balance. Excess calories will likely lead to excessive weight gain, which in turn, may lead to further health complications. Not enough calories can lead to unintentional body mass loss since your body is burning more calories than it is receiving, as well as low milk supply. While you may be looking to shed a couple of pounds here and there, losing weight too quickly is unhealthy. It may be an indicator of an underlying problem. So in an ideal situation, the number of calories consumed should match the number burned through metabolism (source). Metabolism refers to the process through which your body converts food and drinks into energy. The food or drink is combined with oxygen in a series of complex biochemical processes to release energy. This energy finds its way into your cells. An active lifestyle that includes physical activity may hasten the rate at which food consumed is converted into energy. So, the more physical activity you engage in, the more daily is used up and more calories are burned (source). Are Fats the Same as Calories? If you are like me, you may at one point have thought that calories refer to fats. Fats are nutrients that your body needs to function. They just happen to contain more calories than other foods. While a gram of carbohydrate or protein yields 4 calories, a gram of fat gives off 9 calories. That is more than double the amount that comes from other food sources (source). A desire to gain, lose, or maintain current weight. Women who lead a sedentary lifestyle: 1,800 to 2,000 kcals. Women who are moderately active: 2,000 to 2,200 kcals. Active women: 2,200 to 2,400 kcals. For the breastfeeding mom, an additional 450 to 500 kilocalories are needed on a daily basis to make breast milk. Overall, breastfeeding moms are looking at approximately 2,500 kcals a day (source). How to keep count? The USDA DRI calculator is a good place to start. It works out the daily nutrient recommendations as provided by the Dietary Reference Intakes. You can also download apps, such as MyFitnessPal or Lose It! to keep those calories in check. Calories aren’t just calories and there are such things as empty calories. We have foods that carry too many calories and provide few vitamins, fiber, minerals, and phytochemicals (source). Foods that contain a lot of sugar or sugar substitutes, like syrups, baked goods, and frozen desserts such as ice cream. Breakfast foods, such as cereals and bars. Fast foods, like deep-fried french fries, pizzas, and onion rings. Some drinks also fall into the empty-calories category. Sodas, energy drinks, juices, and alcoholic drinks are but some of the empty-calorie drinks. Labeling of menus in restaurants has created a greater level of self-awareness. You’re now able to know how many calories are in the foods you are ordering (source). Since these foods contain healthy fats, vitamins, minerals, and fiber, they will keep your energy levels up for longer. They will also be passed on to your baby and help them grow (source). Whole-wheat bread, brown rice, beans, oatmeal, fruits, and vegetables are good examples of complex carbs that take time to digest. Refined food products spike your energy levels temporarily before leaving you sluggish. Complex carbs, on the other hand, release energy slowly over a longer period. Additionally, these contain Vitamin B12 which will be passed to the baby through breast milk. Vitamin B12 supports the growth of the baby’s nervous system. Think lean beef, poultry, white beans, spinach, lentils, and lima beans. One of the symptoms of iron deficiency is fatigue. These iron-rich foods will help your baby grow, while keeping your energy levels up. Load up on white meat, eggs, peanut butter, fish, beans, and nuts. Vegetarians and vegans can replace the meats with tofu and legumes, as well as certains grains, seeds and nuts. These excellent sources of protein enhance growth. Looking for a snack? How about reaching for yogurt or cheese? The calcium will be passed on to your baby and help promote the growth of strong bones. Hydration is important and doctors recommend drinking 12 glasses of water daily to account for both your needs (source). Water remains the best source of fluids for you and the baby. You can also drink low-fat milk. It contains Vitamin D, some of which will be passed along to your little one. Even though we need to consume more calories to produce milk, most of us are concerned about post-pregnancy weight. Women who breastfeed exclusively for the first six months of their baby’s life use around 650 calories daily doing so. So you will be burning calories without necessarily feeling it. That said, weight loss will also depend on your physical activity. The weight gained during pregnancy is also a determining factor (source). It is more important for you to concentrate on eating right and providing proper nourishment for your baby. And keep in mind if you’re consuming 1000 extra calories per day because breastfeeding makes you so hungry, breastfeeding isn’t really going to help you lose weight. So relax, and focus on your little one, there will be time later for shedding that weight. Calories aren’t an evil that always leads to weight gain. Good nutrient-dense calories will help you retain your energy as you breastfeed, and support your baby’s growth. So go out, identify the best calorie providers, and embrace them with a smile. Do you have any questions or comments? Leave them in the comments section, and don’t forget to share! Michelle Roth, BA, IBCLC is a writer, editor, and board-certified lactation consultant for two busy pediatric practices. She is a former La Leche League Leader, Lamaze Certified Childbirth Educator, and Certified Infant Massage Instructor. Should You Pump At Night to Maintain Supply? Has Your Breast Milk Gone Bad?